Obama reaffirms NASA’s plans for landing humans on Mars. NASA Sets Sight on Mars. I Just Hope Its Aim Is True. From one small step to one giant leap. Last week, President Obama reaffirmed that NASA will put humans on Mars “by the 2030s.” In an editorial on the CNN website, he wrote about an initiative that will help enable it: deep-space crew habitats designed by private companies for the long-duration mission. NASA is pitching in $65 million over the next couple of years for the companies to create prototype modules on the ground that can be used to develop the understanding needed to do the real thing. My response to this is: OK. Sounds cool. I know, that’s a bit tepid. But I’ll admit I’m conflicted about all this. First, let’s clear up a small misconception I’m seeing here and there: NASA has been talking about putting people on Mars for years now, and we’ve known for a while their goal has been sometime in the 2030s. The president’s announcement isn’t really about the date; it’s just letting people know that important steps are being taken. I’m actually pretty happy about this intermediate step. There are a lot of moving parts to a Mars mission, and a critical one is keeping your astronauts alive and happy during the monthslong voyage. Going to the Moon only takes three days, so a small capsule might be a bit cramped but won’t drive the passengers stir crazy. On a trip to Mars, which’ll take six months or more, you need something roomier. These habitats have to be big enough to give the crew some elbow room, some space (if you will), but also not be too big to get into space in the first place. One of the companies in the running, Bigelow Aerospace, is looking to make inflatable habitats, for example. That might sound odd, but a lightweight and strong material could be packed into a small space for launch, inflated upon reaching orbit, and provide good protection against radiation and small meteoroids. They’re testing one version on the space station right now. I love this idea; it’s innovative and could very well be the best way to protect people in space for months at a time. It might be how we go to Mars. But the other companies (like my local Colorado’s Sierra Nevada Corp.) will be working on this as well. But still … going to Mars relies on the Space Launch System, or SLS, rocket and the Orion crew capsule, and as I’ve written many times, I’m not a fan. They are incredibly expensive, won’t fly often, and have a huge political albatross tied around their necks. 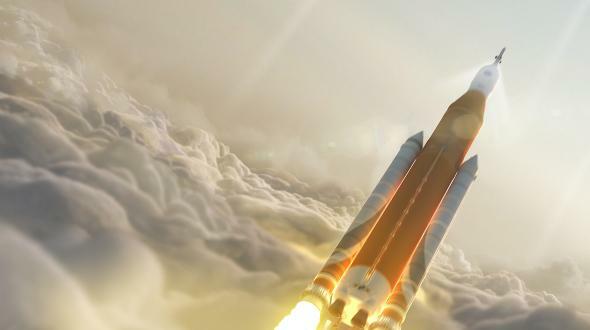 Don’t get me wrong: As this artwork shows, SLS will be an amazing thing to see fly. On the other hand, as my space-writing colleague Eric Berger points out, SLS and Orion are almost certainly inevitable. They have baggage, yes, but they’re being built, right now, and should have a first launch test in 2018 (I’m still skeptical on that, but we’ll see; I’m happy to be proven wrong). On the third hand, though, both SpaceX and Blue Origin have plans to build very large and powerful rockets. SpaceX has had a series of unfortunate events lately, and the Heavy is behind schedule, but I’d lay odds it’ll be flight-tested before the SLS is upright. Blue Origin is taking slower, more methodical steps (its slogan is gradatim ferociter, “step by step, ferociously”), but it also may very well have a huge booster ready to go by the time SLS takes humans into orbit. I understand NASA’s desire to have a rocket independent of those—and certainly there’s considerable pressure from Congress on them to build one as well—but I still wonder if it makes more sense to focus instead on private rockets than government ones. And the process through which Orion and SLS came to be leaves a bad taste in my mouth. That may be why my enthusiasm has been somewhat restrained for NASA’s Mars plans. Sure, as Berger states, it may be time to learn to love SLS, as long as NASA is committed to use it wisely. NASA does seem to understand it needs to fund commercial crew heavily as well, so perhaps in time the right balance will be found. If they find a way to not have to spend the $3-4 billion a year currently used for the space station, that’ll free up a lot of funds for other ventures. A NASA official has talked publicly about handing it over to private ventures as early as 2024, the date when the current budget for ISS operations ends, and has already talked about opening up the station to commercial company use. But there is more. Another issue I have is that NASA hasn’t really been as forthcoming as I’d like on details of how it plans to go to Mars, and what it plans to do after that first mission. I certainly don’t want a “flag and footprints” mission, framed like the Apollo space race. That doesn’t support sustainability, and if we go to Mars, by damn we should go to stay. What I’m hearing does sound more like a long-term plan for many missions, so that’s good. But some more details would be nice. I’ll note that in his op-ed Obama mentioned the Asteroid Redirect Mission, which will cost a lot of money and has somewhat nebulous goals. I was for it initially—moving a seven meter asteroid into orbit around the Earth or Moon sounds amazing, and will be useful scientifically—but I cooled on it after I found out it’ll cost well over a billion bucks … and that’s only to retrieve it. To send astronauts to it and study it will cost billions more. I’m not convinced it’s worth that kind of money; smaller, robotic missions make more sense to me at this point. I sometimes wonder if ARM was invented just to give SLS and Orion something to do. And surrounding all of this is the issue of funding. President Obama can make these statements, but Congress has to approve them. I don’t think it’s too much to note that things are about to change in our government. Certainly Obama will be leaving office, and perhaps Hillary Clinton will take over. While she’s stated she plans to sustain SLS, I really don’t know how firm her commitment is to Mars. As for Trump, if he’s president the least of my worries is NASA. Not so incidentally, the face of Congress may change in November as well, and who knows what it will look like in the late 2020s? Incidentally, for an excellent review of this, once again Eric Berger is your guide. Look: I am all for going to Mars (and, better yet, going to the Moon first). 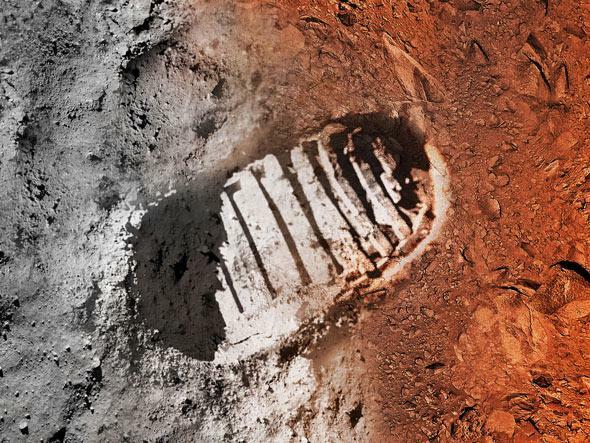 I’d love to see a human boot print on Mars, especially sometime in the next couple of decades. It’s possible Elon Musk and SpaceX will do it first, though his Interplanetary Transport System is big on flash and short on some important details (at least details we’ve seen). He may very well get there first, and I will applaud if he does. As I’ve said before, I wouldn’t bet against him. But, to be honest, I like to see NASA being the innovator in situations like these. Let them pave the way, and make it easier for others to follow. I’m glad they have the Red Planet in their sights! I just hope the path they’ve plotted is one that’ll get us there.